Makeup Geek Peach Smoothie Eyeshadow is described as a “light peach beige with a soft matte finish. It is a pale peach orange-soda color with warm undertones. It is a fantastic blending and transition shade and one of my most used colors. Peach Smoothie works very well with almost every eyeshadow. It has a soft, smooth and silky texture but was a little powdery with decent pigmentation. It does blend in a bit with my NC40 skin tone so I have to pack the color on a bit but it is buildable. It is a close dupe to MAC Saoma silk. Makeup Geek Shimma Shimma Eyeshadow is described as a “metallic champagne.” It has a warm undertone. Shimma Shimma is a great highlight shade because it works very well with many skin tones. It goes on easily and beautifully, works as an overall lid color, as a pop of light on the inner corner of the eye, as a brow bone and cheek highlight. It has a soft, smooth and velvety texture with excellent pigmentation. It is a close dupe to MAC’s Shroom shadow. Makeup Geek is cruelty free. You can purchase Makeup Geek shadows from their website. Pricing: $5.99 each for 0.064 oz. 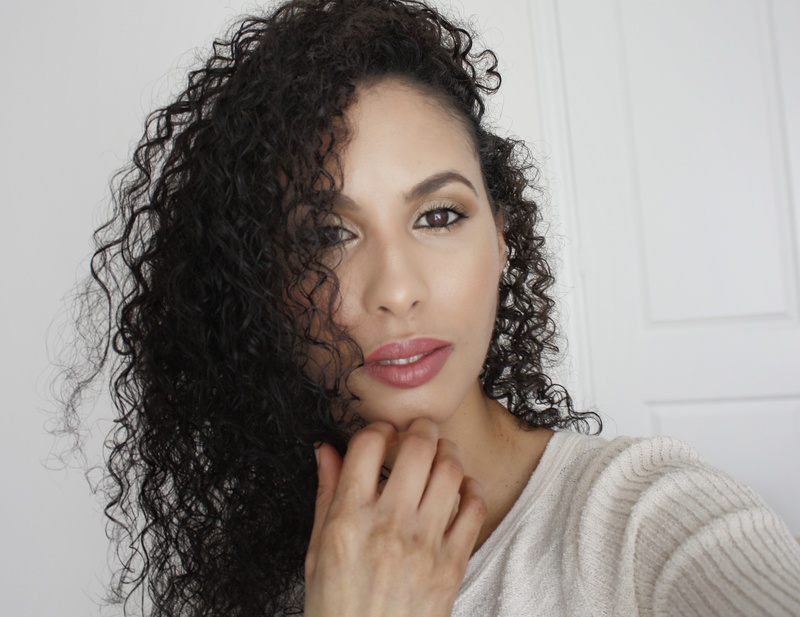 Disclosure: This product was purchased by Face to Curls for review purposes. Please see the Disclosure page for further information.